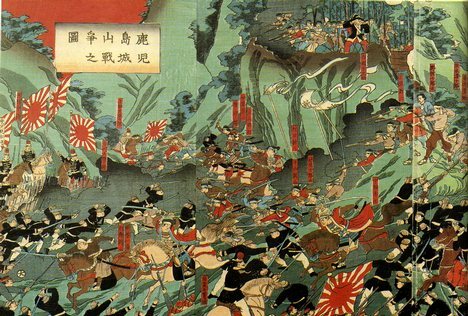 This week I will continue my summarizing of the classic text from 1643, The Book of Five Rings by Miyamoto Musashi. Last week I wrote about the first scroll which was the Earth scroll, and this week I will move on the the next section, the Water Scroll. This scroll goes in to detail about specific sword movements taught at Musashi’s school, the Two Skies school. As he writes at the beginning of this scroll, the heart of his school is based on water. The long sword as the primary weapon used by his students is what is mainly discussed; however from the beginning, Musashi notes that “As for the principles of martial arts, although there are places in which I have written of them in terms of a duel between two individuals, it is essential to understand in terms of a battle between two armies, seeing it on a larger scale.” This is an interesting thread that runs through Musashi’s writings so far; even though I don’t have any plan to command an army, it is interesting to think of martial arts and army strategy as microcosm and macrocosm, the same thing on a very different scale. For my post this week (this post is postponed from last week) I will be discussing the meaning of the South Korean flag.